Offering you a complete choice of products which include flexible conduit, gi flexible conduit, galvanized steel flexible conduit, galvanized steel flexible pipe, lead coated flexible conduit and reinforced flexible conduit. 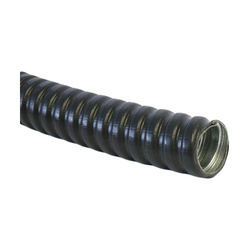 Our organization has successfully expanded its business in the market owing to the offered elevated quality array of Corrugated Flexible Conduit. 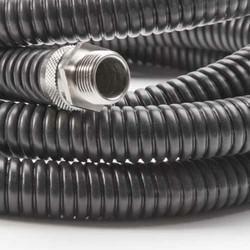 Our offered conduit is widely acclaimed to cover electrical cables and optic fibers. The provided conduit is designed by our experienced personnel using top notch quality raw material and cutting edge technology. 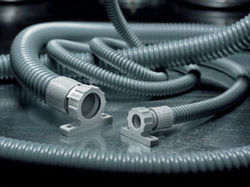 Apart from this, clients can avail this conduit from us at industry leading prices. Owing to the presence of our expert engineers, we have been able to offer a wide range of Galvanized Steel Flexible Conduit. These pipes are manufactured using top grade material and cutting edge technology in accordance with set parameters and standards. The offered pipes have gained exceptional value in the market for their flexibility and excellent mechanical strength. Moreover, clients can avail these pipes from us at industry leading prices. Being a well-established organization, we bring forth an excellent assortment of Galvanized Steel Flexible Conduit for our clients. Our offered metal tubing is manufactured by our adroit professionals using top notch quality raw materials and sophisticated technology. The provided metal tubing is used as mechanical protection for insulated electrical cables. Besides, clients can avail this metal tubing from us at budget friendly prices. 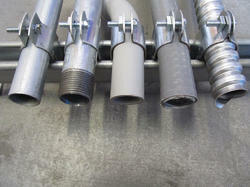 Galvanized Steel Flexible Conduit. These pipes are manufactured using top grade material and cutting edge technology in accordance with set parameters and standards. The offered pipes have gained exceptional value in the market for their flexibility and excellent mechanical strength. 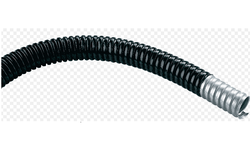 Our renowned company is considered amongst the prominent manufacturer, exporter and supplier of the best quality Reinforced Flexible Conduit that is widely used in machinery tool wiring conduits. 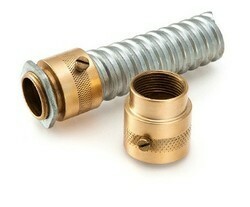 The provided conduit is designed using supreme quality raw material and modern technology by our adroit professionals. Apart from this, we assure our clients that this conduit is sternly tested by our quality controllers so as to ensure its quality. 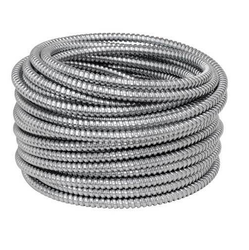 Backed by a diligent team of professionals, we are engaged in offering an excellent range of Braided Galvanized Flexible Conduit that is widely used in in furnace or oven applications. Our provided conduit is manufactured using the finest quality raw materials and innovative technology with by our experienced professionals in line with the set industry standards. Apart from this, this conduit is strictly tested by our quality experts on pre-defined parameters. 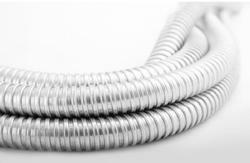 Looking for Galvanized Steel Flexible Conduit ?